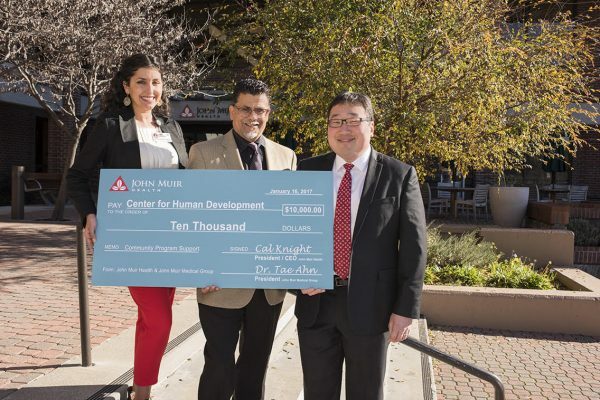 Center for Human Development receives a $10,000 check from John Muir Health to mark the birthday of Martin Luther King, Jr. Pictured: Jamie Elmasu, David Carrillo, and Dr. Taejoon Ahn, MD in front of the John Muir Outpatient Care Center in Walnut Creek. 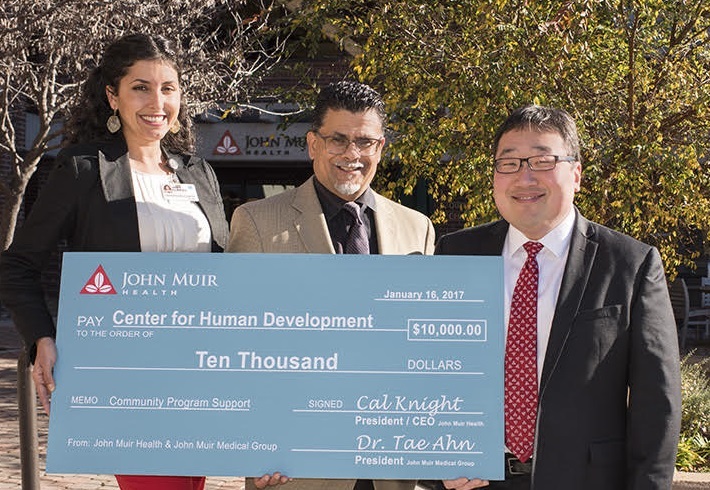 Walnut Creek, January 13, 2017 – John Muir Health and John Muir Medical Group celebrated Martin Luther King, Jr. on his birthday by making a $10,000 donation to the Center for Human Development (CHD), (see John Muir Health Facebook for more) which provides a broad spectrum of wellness and prevention services for underserved communities in Contra Costa County. John Muir Health made the donation on behalf of its many physicians, nurses, staff and volunteers to build strong partnerships in the community. 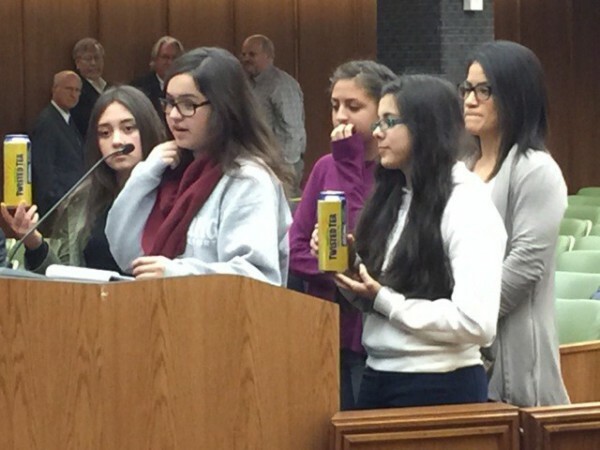 “This year in honor of Dr. King’s Birthday, John Muir Health and John Muir Medical Group are giving back to the community by supporting an organization dedicated to Dr. King’s ideals,” Dr. Taejoon Ahn, John Muir Medical Group President, said. “We are pleased to support CHD, an agency known for its work in reducing health disparities, inspiring healthier choices, and facilitating conflicts and violence prevention throughout Contra Costa County,” said Jamie Elmasu, John Muir Health’s Community Program Coordinator. 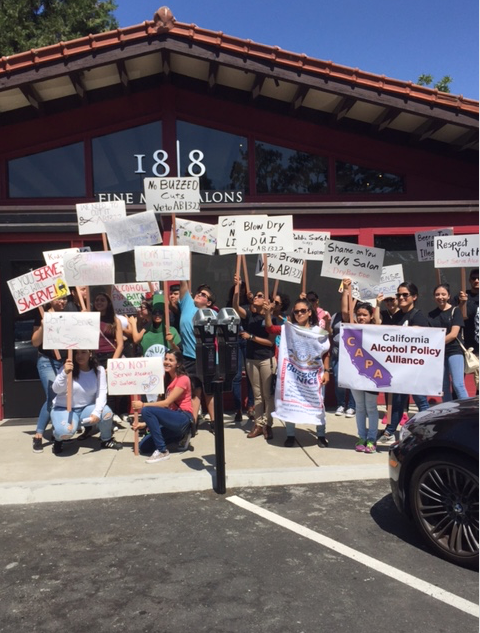 CHD is a 501 (c) (3) nonprofit organization committed to empower individuals, families and community groups addressing issues of racial injustice and social change through non-violent means in order to help people to become more resilient and realize their full potential. “I am excited about the opportunity to use the resources that John Muir Health and John Muir Medical Group have generously contributed to help our participants in the Mind, Body and Soul Group with healthy eating opportunities,” said David Carrillo, CHD’s Executive Director.